That was the week that was — and what a week! On your marks, get set, GO!… It’s a marathon. Well that’s what it felt like this week. 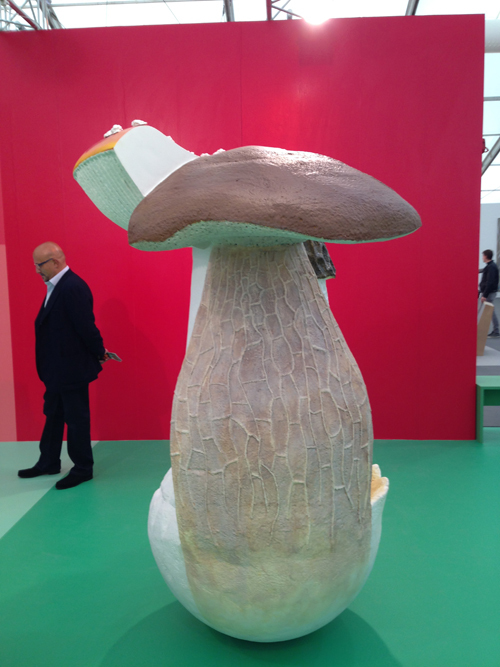 Art collectors from all over the world flocked to London for Frieze, PAD and the auctions. Others came for the Man Booker Prize Award (winner Richard Flanagan for ‘The Narrow Road To The Deep North’). 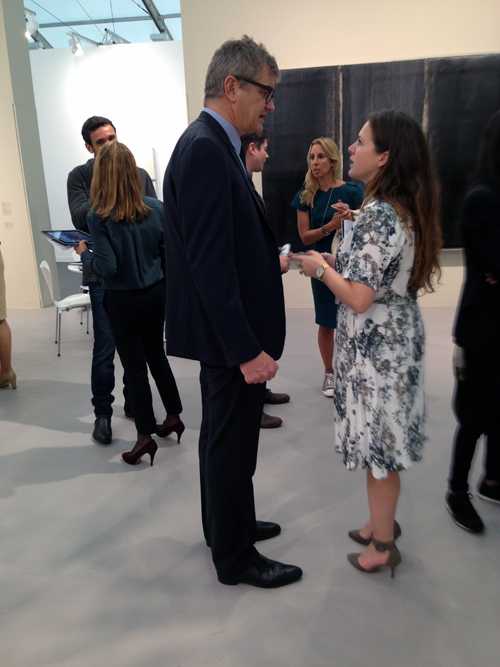 Taking advantage of the influx of art lovers, museum blockbusters are now strategically planned to coincide with Frieze. Rembrandt at the National Gallery, the wonderful Kiefer retrospective (first ever in the U.K) at the R.A. and not to be outdone, the commercial galleries also wheeled out their choicest offerings. 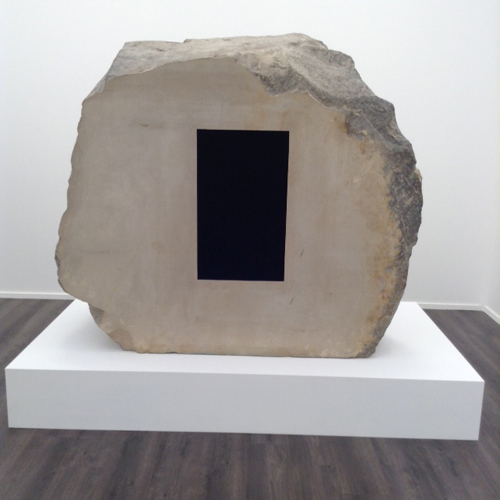 Matthew Barney at Sadie Coles, Richard Serra at Gagosian — and I haven’t even started on the auction houses. Talk about overkill. Huge pressure and not enough hours in the day to see everything. It required stamina, (double doses of Berocca at the ready and comfortable shoes). Not wishing to pour salt into any wounds, however if you didn’t receive a minimum of three invitations a night, best pack your bags and head home. Almost everyone you meet (and I’m talking art world folk, of course) affects a weary expression recounting the number of dinners and parties they ‘had’ to decline (oh dear, life can be so cruel). 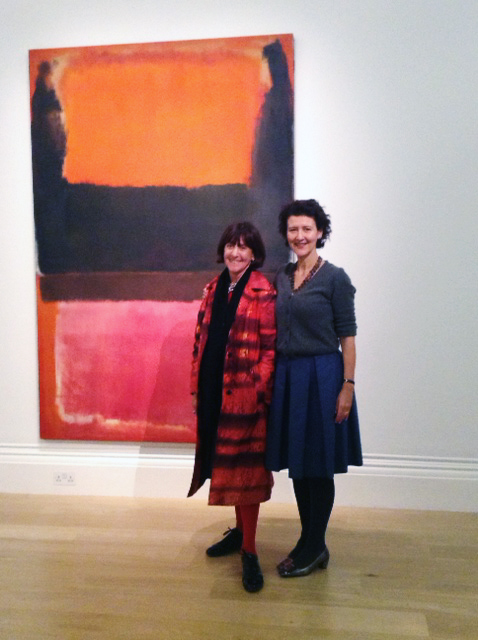 Looking back it seems miraculous that London is now the epicentre for contemporary art. When I worked at the Saatchi Gallery in mid ‘80’s the city was a sleepy backwater, nay, the furthest outpost of Siberia, for anything contemporary. How things have changed. The minimal gallery designed by architect Max Gordon – grey concrete floors, vast white and grey interior are now a design cliché. Back then it appeared almost revolutionary. I remember the first exhibition in March 1985. Donald Judd was one of the exhibitors. ‘Untitled’, an 80 foot long three-tier plywood sculpture, spanned an entire wall from ceiling to floor. A confused visitor became quite distressed when she assumed it was the coat cupboard and couldn’t find the door. No such mistakes these days! We are all so much savvier, so much ‘cooler’ and anything goes. 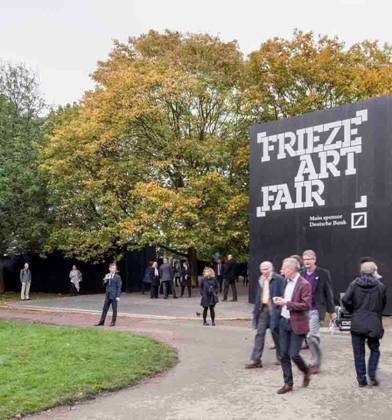 Frieze is bigger than ever and some might agree with Grayson Perry who compared it to ‘a village fete full of shouty art.’ But as he was spotted strolling the aisles with Russian newspaper mogul , Evegny Lebedov, he clearly has no qualms about being a ‘shouty’ crowd member himself. Thanks to my VIP pass I was able to arrive at 10 a.m. before the herds but had I been a lot higher up the pecking order – an Oligarch(ess) or similar – more ‘Big V VIP ’ rather than one of many lowlier rated VIP’s, I would have been swept inside earlier for a first bite of the pickings. Frieze has a fresh, new interior designed by Edward Barber and Jay Osgerby creators and founders of Universal Design Studio. Less claustrophobic, brighter and better all round for looking and seeing. 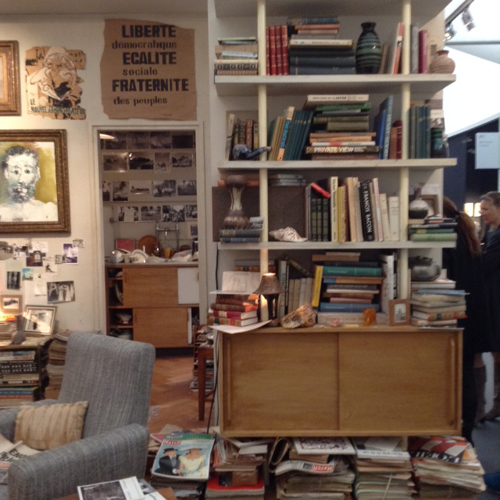 Frieze is super energetic, lively. It’s brilliant theatre, but more about people watching and eavesdropping of the ‘sorry but it’s on reserve for three hours, you will have to come back… to 20 percent is the best I can do’ variety. Fashion journalist, Suzy Menkes observed as she made her way around with a photographer in tow, snapping to her authoritative command, ‘looks like half the fashion world are here’. Well hardly surprising, as Alexander McQueen sponsored FRIEZE LIVE to showcase performance-based installations. Apart from eaves dropping and people watching there was some good art. ’The Untitled Brothers’ at Green Tea Gallery (tasty Japanese vegetable broth too), Hauser & Wirth’s stand with a sleeping security guard by Christoph Büchel. 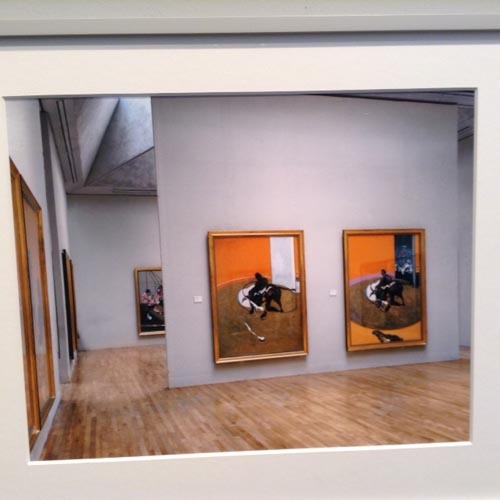 In a corner, baffling visitors (not a million miles from Duane Hanson who has a show at Sotheby’s S2). 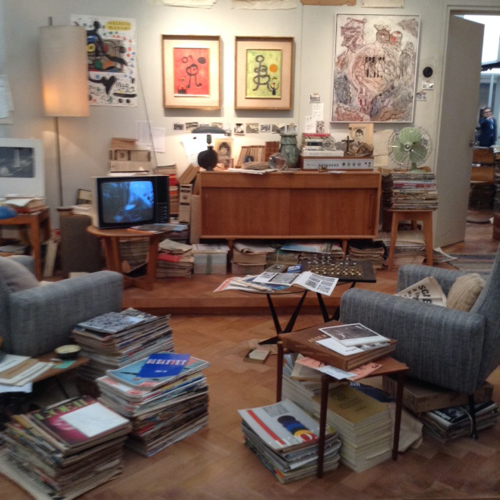 One of the most interesting was Mark Wallinger’s interpretation of Sigmund Freud’s study in Hampstead, on Hauser & Wirth’s stand, focusing (possibly obsessing) on the dominance of red and green in the décor. 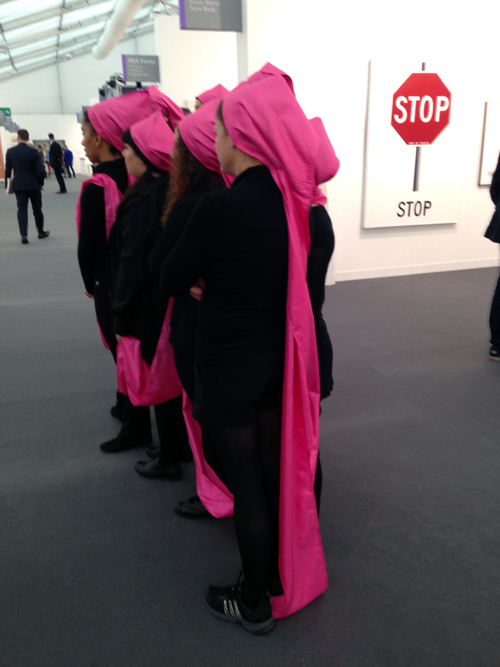 Frieze Masters is another proposition altogether. Very grown up and sophisticated, focusing on work from ancient times to the 20th Century. Major art in a comfortable environment. 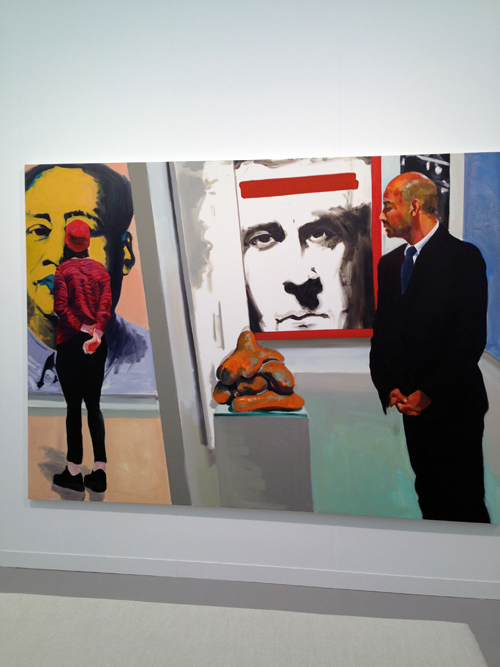 There is a cohesion about Frieze Masters which makes moving from gallery to gallery pleasurable and easy. Soft grey carpets, wide aisles and above all, tranquil. Well it needs to be tranquil when contemplating art at this price level and making serious purchasing decisions. 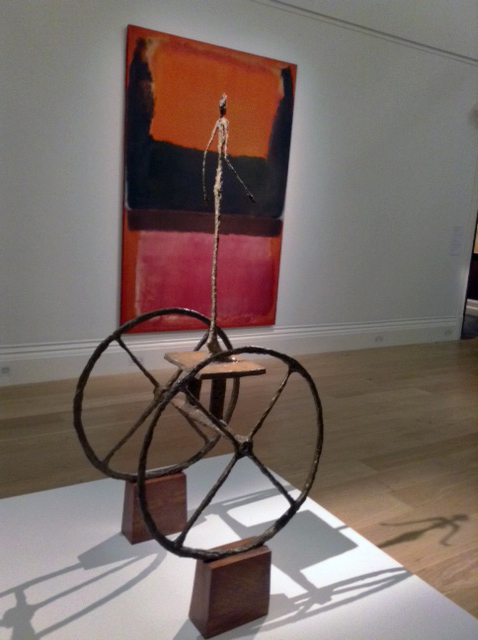 Marlborough’s in depth presentation of Francis Bacon – prints and paintings – including a portrait of his last lover, Jose Capello, was a joy. 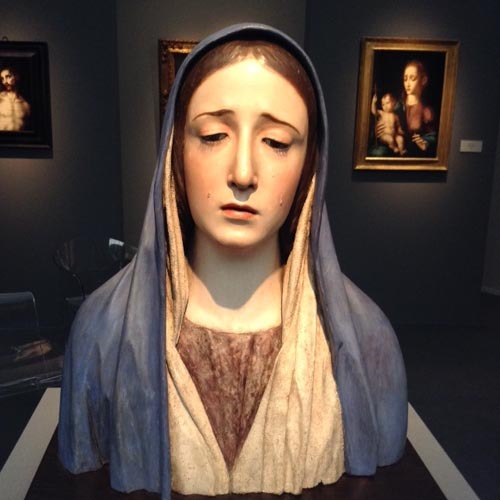 Thomas Gibson’s French paintings and sculptures on loan from the Long Collection and displayed as if they were still in a collector’s home likewise. 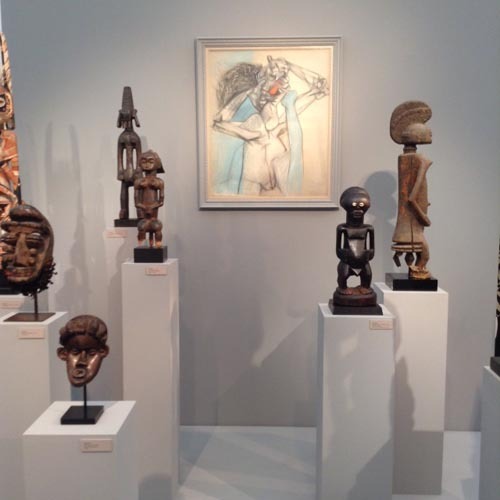 Daniel Katz had an eclectic mix of classical sculpture and modern British paintings including a fine Bomberg. There was great iconic photography. 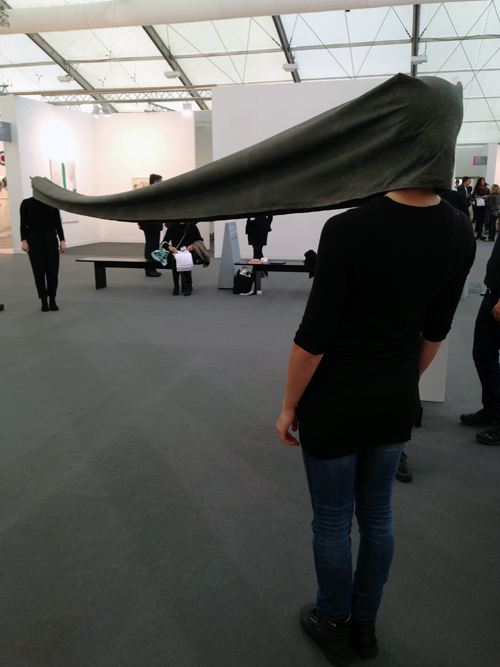 Lisson sported some fine pieces including an unusual Anish Kapoor sculpture. And of course last but not least the Rembrandt priced at a mere £30 million. ‘And not the greatest’ sniffed an informed friend. 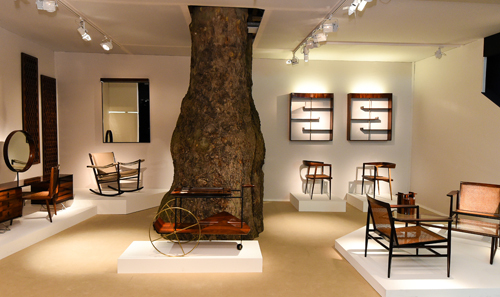 Dealer Helly Nahmad’s re-creation, THE COLLECTOR stole the show for THEEYE. Brilliant, innovative and imaginative . Probably the most exciting and original art installation I have seen all year. This is how Helly Nahmad explains his vision. 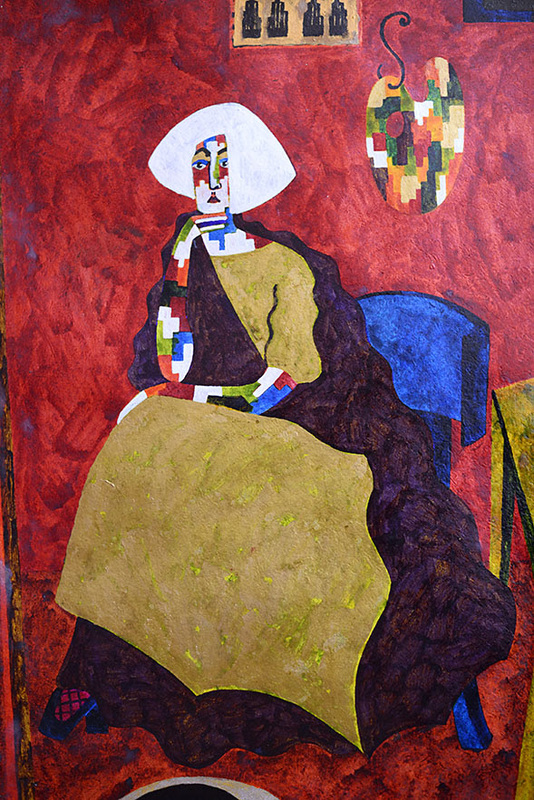 ‘’The Collector’ is an exhibition that aims to question the true meaning of collecting art. 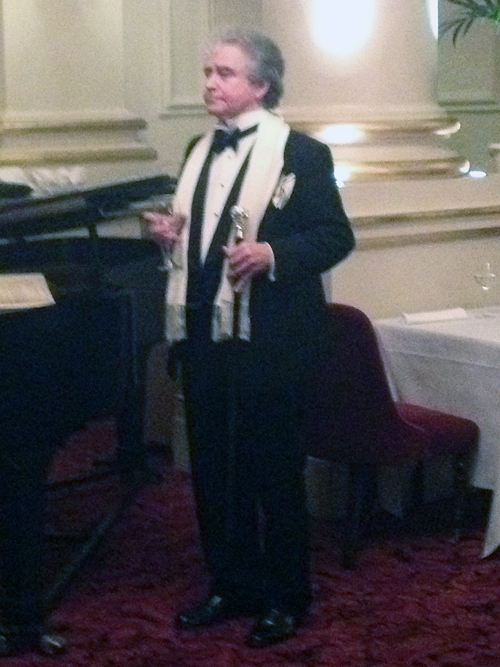 Set in an imaginary apartment in 1968, the ’Collector’ is a complex character with a completely unique personality. Passionate, brilliant, eccentric and humble. 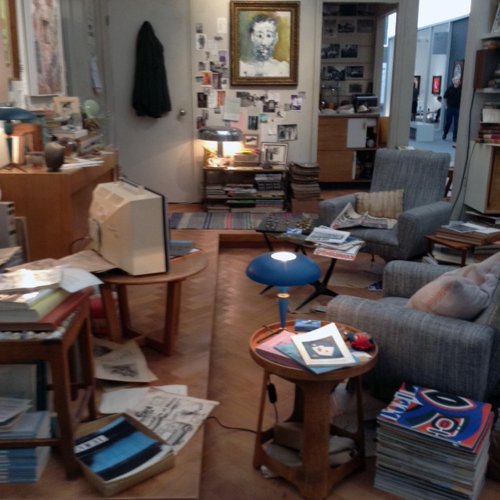 Living in Post War Milan and then Paris, he lives and breathes art. 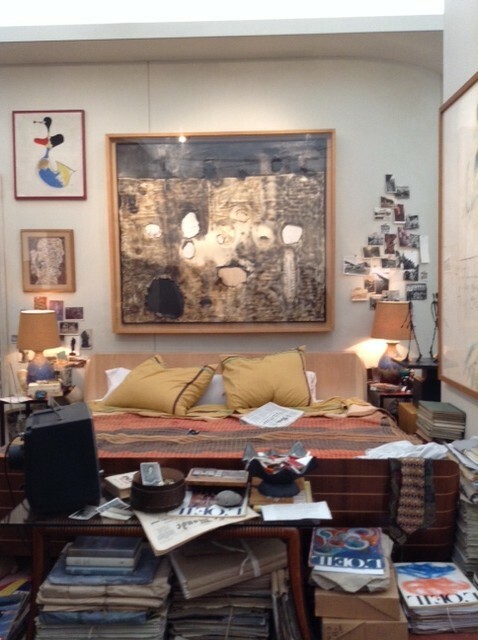 Essentially the contents of his apartment are the result of his desperate search to feel the agony and ecstasy of life, through the visual poetry of the greatest artists of his time. 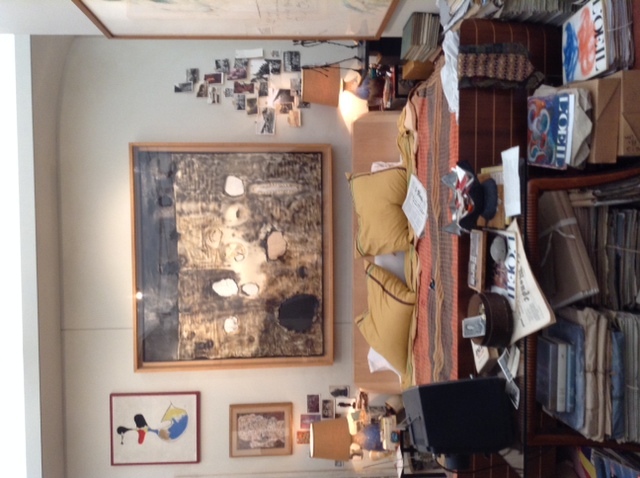 Collected one by one over many years the objects in his apartment take us on a remarkable journey into his soul. Like a private journal so intimate and personal, they are a portrait of a never ending search for something real. Sadly few people will see this brilliant show which speaks about collecting in a visual language more clever than any ‘catalogue style entry’ words can ever do. 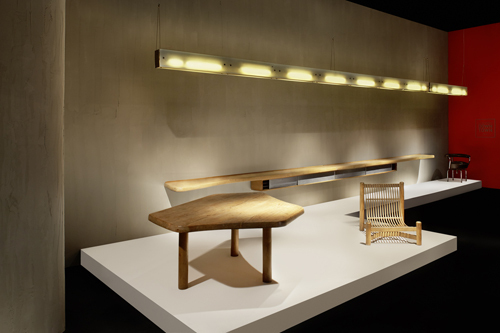 It deserves to be a travelling exhibition – a little masterpiece. Designed by Robin Brown and Anna Pank with an essay by Sir Norman Rosenthal . For the past four years I have been a judge at PAD, the art and design fair with 50 international galleries featuring modern art, design, decorative arts, photography, jewellery and tribal art, from 1860 until the present. Under the beady eye of ‘head boy’ and Jury Director, Jasper Conran, the illustrious panel including architects Nigel Coates, Amanda Levete, Zaha Hadid and other design grandees, had to select three winners. JAMES, a Brazilian gallery and welcome new comer to PAD, was voted the best stand. 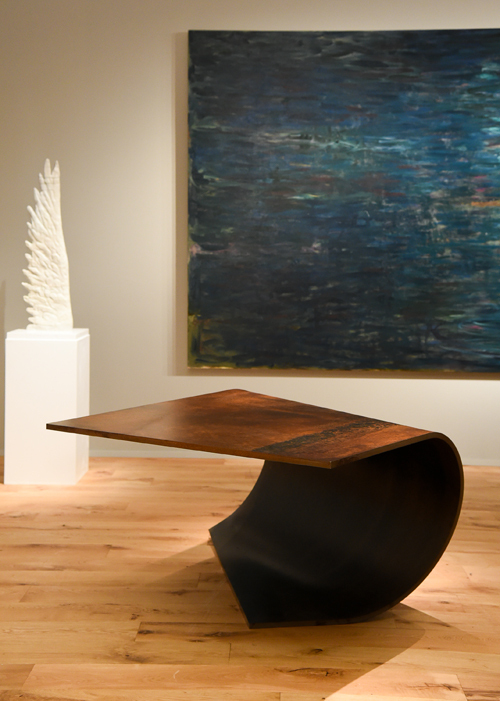 ‘Poised’, a pair of rolled steel tables by English designer Paul Cocksedge was best contemporary work at Friedman Benda; Carlo Mollino’s enduringly classic ceiling light from 1949 at Galerie Downtown, was best in the 20th Century Decorative Arts category. Voting took place over lunch with much discussion, robust argument and passion. A democratic show of hands won the day. The jury’s main dilemma was the high quality of work – varied and interesting which produced diverging points of view. Close runners up included contemporary ceramics from Sèvres, a new direction for the historic French company; Kreo, the renowned Paris contemporary design gallery who recently opened in Hay Hill London, and Adrian Sassoon who consistently shows the best contemporary craft with pieces by Michael Eden, Felicity Aylieff, Kate Malone, Hiroshi Suzuki and others. Carpenters Workshop presented an extraordinary ‘Windy Chair’ by Turner Prize winner Yinko Shonibare. 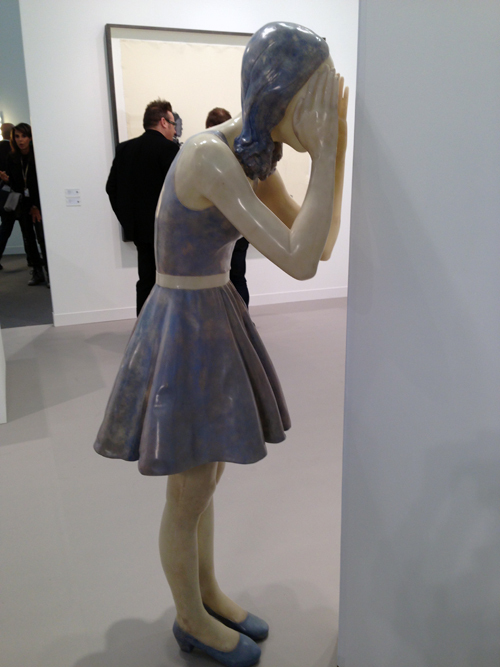 I hate the overworked expression ‘design art’, but this certainly fits the description. Stopped by to admire the highlights of the forthcoming auction of Contemporary and Impressionist Art to be held in November in New York. 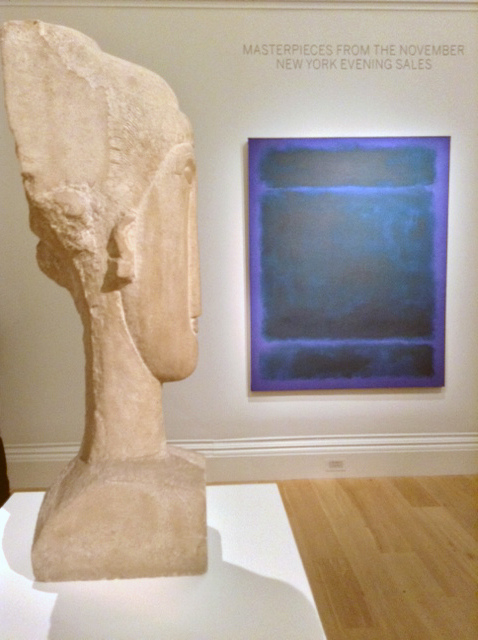 There were some ravishing Rothko’s, a rare Giacometti, and a sublime carved stone head by Modigliani. 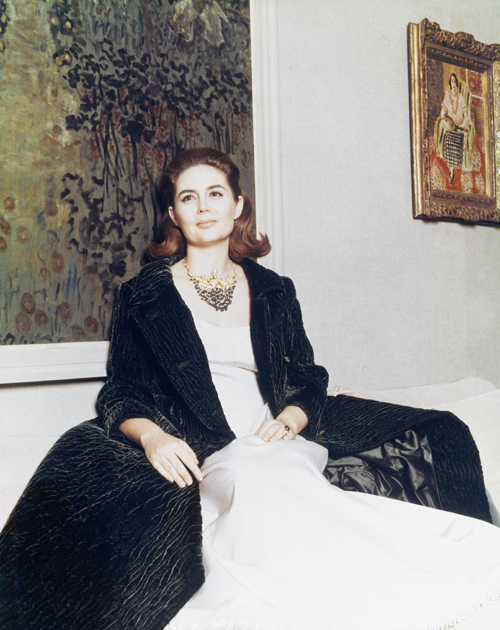 Two remarkable collections will come under the hammer – Bunny Mellon and Mrs Pierre (Sao) Schlumberger. Both amazingly glamorous women with great taste, enormous style and very rich husbands. 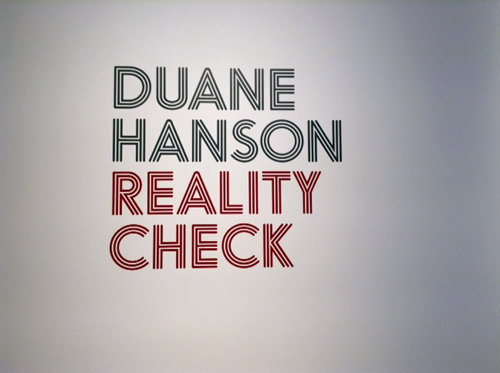 I have always had a soft spot for DUANE HANSON and his more real than real life sculptures of down trodden people you really wouldn’t want to hang out with. Several years ago when I curated the first BEYOND LIMITS exhibition in the spectacular setting of Chatsworth House I had the crazy idea of putting a Duane Hanson in amongst the classical sculptures in the hallowed sculpture gallery. It was a very hot summer, a heat wave, and many confused visitors weren’t sure if the rather unattractive sun worshipper, spread eagled on a deck chair in a bikini and sipping a coca cola wasn’t an opportunistic intruder taking a break from the sun and sought out the security guards. A great hoax. 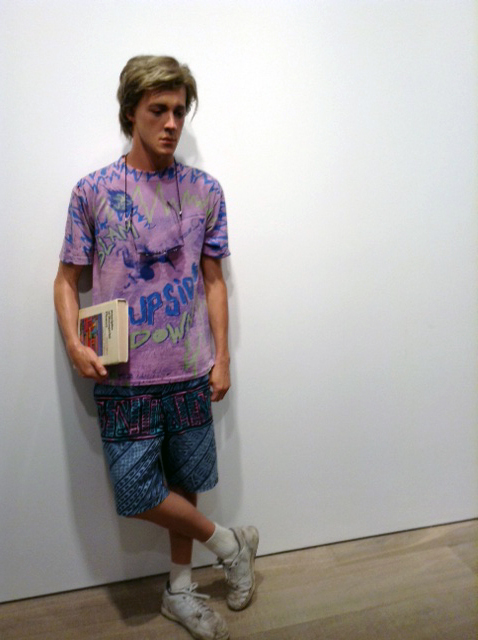 At Sotheby’s S2 gallery you can see five Duane Hanson ‘saddies’ and be equally confused by their brilliant reality. Before total collapse and blurred vision set in, THE EYE managed a fleeting visit to Riflemaker in Beak Street to see “Life So Far’ the extraordinary colourful ink paintings by Josephine King, an artist who suffers from bi-polar disorder. Arresting, disturbing, but rather wonderful. Loved your piece on “the collector”. Wish it was coming to nyc. You go girl. The blog is wonderful. It is great. I felt that though I had missed a lot of it all, as I am not on “the list of invitees” I had almost been there. I think your blog is wonderful, I loved your comments about this last weeks art whirl.